A fast growing, medium sized tree with deep purple maple like leaves,turning crimson in autumn, more delicately cut than 'Crimson King'. Lime green flowers tinged red in April. Ultimate height 12-15 metres. Write a review about "Acer platanoides 'Crimson Sentry' 10L pot"
We want to know your opinion! 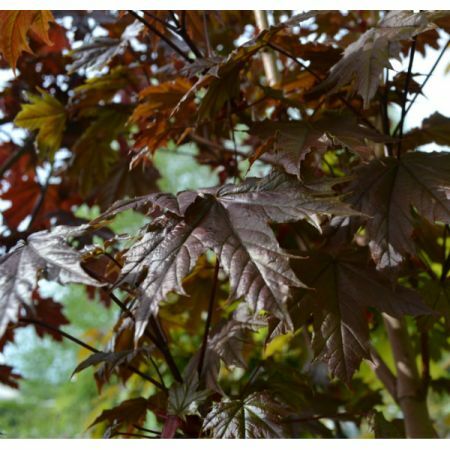 Write a review about the product “Acer platanoides 'Crimson Sentry' 10L pot” and win a National Gardening Gift Voucher of £25 ! Would you like to buy Acer platanoides 'Crimson Sentry' 10L pot? Visit Derwen Wholesale!